“The Media,” a perceived singular body that only one third of Americans trust according to a recent Gallup survey, has had some reckoning to do after the surprise election of Donald J. Trump to the presidency. Many reporters and editors have written autopsies of 21st-century journalism, while others maintain that investigative reporting in particular played a big role in the election, such as the tireless work of reporters like David Fahrenthold. A crucial point in the new media landscape, however, is that there objectively is no such thing as “The Media,” but rather several factions that often operate in opposition to each other, which is crucial to understand how politics is covered and why much of the public is so skeptical of their news. A lot of this is lost on people who don’t read media reporting—a seemingly redundant term for reporters who write about how news is made and how the business runs, similar to business or sports reporting—because most people don’t know the machinations behind news organizations. The diversity of approaches in “The Media” is further lost on the largest group of journalistic critics: those who don’t even read the news. While divisions between print and visual media, newspapers and tabloids, radio and podcasts, and within those large and small outlets have always existed, two recent phenomena have thrown the industry for a loop. The first, which has been written about extensively in The Argus and elsewhere, is the financial difficulties facing print media in the online age, mainly due to the disparity in advertisement revenue between print and online ads. Other structural problems with the Internet have contributed to this, most recently the proliferation of social media as a primary news source, removing key financial factors from publications and creating ethical problems that will be examined later in this piece. The bigger schism, however, is what reporters like Brian Stelter of CNN Money call the “media vs. anti-media” divide. Anti-media outlets are places like Breitbart, and to some extent Fox News, though Breitbart is so anti-media that they try to position themselves as an alternative to Fox News. As a critique of the “mainstream media,” outlets like Breitbart offer overtly partisan and often factually dubious news, doing away entirely with the old notions of objectivity and factual accuracy of traditional news outlets. Breitbart is also known for its provocative and offensive headlines, such as “Bill Kristol: Republican Spoiler and Renegade Jew,” or “World Health Organization Report: Trannies 49 Xs Higher HIV Rate.” Although this approach may be easy to discount for some, Breitbart’s following is undeniable. On election night, Breitbart had higher web traffic than CNN, BuzzFeed, The New York Times, and even Fox News, according to Newswhip. Much of the rise of Breitbart and its brethren is inextricable from the expansion of social media’s role in how the American public gathers news. Much debate has ensued after election night regarding the responsibility of companies like Facebook and Twitter to curate what is “trending” on their respective social networks. Several factually inaccurate stories, such as Fox News firing Megyn Kelly or a news report about the Sept. 11 attacks being a “controlled demolition,” have circulated as top trending stories on Facebook in the past few months. 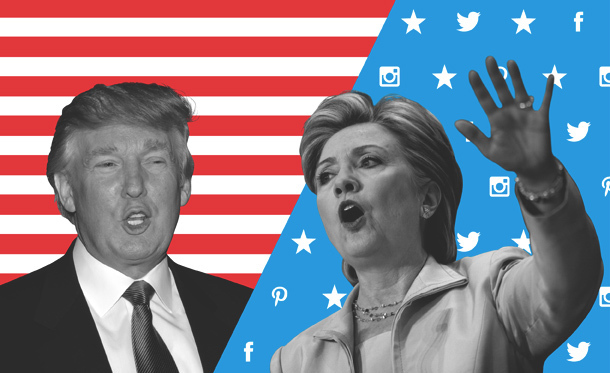 Now that Trump has been elected, many inside and outside of journalism have called for social media sites and even search engines to curate their content based on factual veracity. The greatest concern is that despite the right of these companies to have autonomy, they play such an influential role in informing the public now that they cannot ethically afford to disseminate false information. Google, for example, whose search engine adapts to each user’s metadata, or long-term preferences, had a story saying that Donald Trump won the popular vote as its top search result for the winner of the popular vote as late as this past weekend. Curating this content requires an increased dedication of news-intensive labor and coding within these organizations, all of which, with the potential exception of Twitter, have the resources to carry out the work. However, what constitutes an objective fact or truth in what is now being called the “post-fact era” sets a difficult precedent, especially when Silicon Valley is so heavily male and left-leaning. Had Trump not won the election, it’s hard to tell if many of the same journalists and activists calling on Silicon Valley to censor factually inaccurate articles would be making as strong of a case. Finally, there are the debates at the highest levels of journalism that were being had far before Trump’s victory. One of the most fervent was the data journalism vs. shoe-heel reporting debate, which pitted New York Times Media Reporter Jim Rutenberg against FiveThirtyEight founder and data whizkid Nate Silver, who’s actually 38 years old. Rutenberg argued that Silver’s failure to predict the rise of Donald Trump in the primaries was made far worse by his arrogance in taking a moral high-ground with data journalism over reporting on human sources, giving a power to his predictions that had, Rutenberg argues, real consequences. Silver fired back that Rutenberg should have acknowledged that they once worked together at The New York Times, and that “polling is more robust to change.” As dramatic as this was for journalists with otherwise boring Twitter feeds, the debate between Rutenberg and Silver proved to be important for the field, and especially so for young journalists. Jake Lahut can be reached at jlahut@wesleyan.edu, or on Twitter @JakeLahut.